AR Nelson's cubicle curtain track is custom fabricated to fit any job. 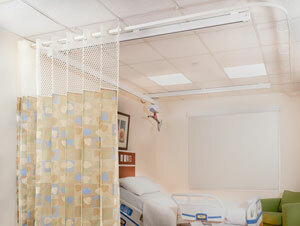 No matter what style hospital curtain track you are looking for, AR Nelson can provide you with options for all areas. 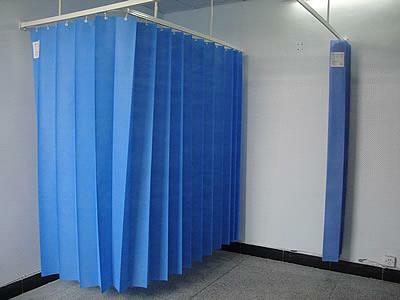 We offer ceiling or suspended-mounted cubicle curtain track and all bends are factory produced and included in our pricing. On The Right Track is uniquely different. 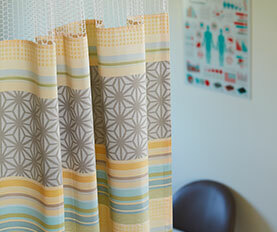 Our patented track and Hookless® Ring technology allows our hospital cubicle curtains to glide along our track smoothly. And, curtain exchanges can managed in less than a minute without the use of a ladder.